P.O. Tremblay, born in 1864, became ironmonger in 1886 on Notre-Dame Street in Montreal. He started his collection at the age of 15 years. 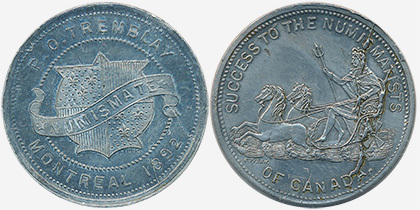 He ordered these tokens to be known by the other collectors.